About the author: Tiffani Kittilstved is a first year graduate student at the University of Tennessee, studying Speech-Language Pathology. She is working towards her Masters of Science degree, with an anticipated graduation date in 2017. Following her Masters, she plans to continue at the University of Tennessee for her PhD. 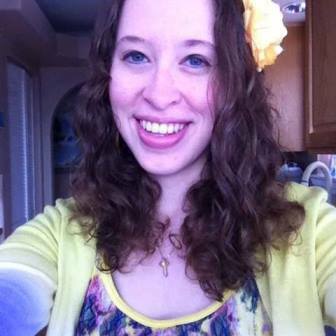 Tiffani desires to be a Professor, Researcher, and work with persons who stutter. Tiffani is a person who stutters, herself, and desires to research the neuroscience behind stuttering, in addition to listener’s physiological reactions and perceptions cross-culturally. She earned her Bachelor’s degree in Anthropology at Eastern Washington University, in 2014, before pursuing a degree in Speech-Language Pathology. While not in class, Tiffani is a part-time server at a local restaurant and enjoys hiking, musical theater, and volunteering. This is her first year at the ISAD Conference and she is honored to have the opportunity to share her story and talk about stuttering! “Hi, my name’s Tiffani and I’m a person who stutters.” This phrase probably doesn’t mean much to most people but for me, it’s a perspective altering statement. Since I was a very young child, I have stuttered. It’s been a part of me for more than a decade now and it’s a part of me that I’ve just recently started to accept. For the majority of my life I have been what’s called a covert stutterer. So instead of r-r-repeating sounds or words, I learned to avoid words that I knew I would stutter on. I would, instead, replace them with words that I felt that I could say without stuttering. I became really good with synonyms and, if I couldn’t think of one, pretending that I couldn’t think of the word, in hopes that somebody else would say it for me. I also learned to talk really quickly so that even if I did stutter, people would just think it was due to a normal disfluency of speaking too quickly, or maybe they wouldn’t understand me at all…either way, they wouldn’t know I was stuttering. I also learned to change the way that I spoke, altering the pitch, intonation, quality, and even adding an accent if the word was particularly difficult. Perhaps my best covert strategy, though, was the use of filler words. Although speaking with lots of um, uh, like, um, filler words in your daily speech isn’t what one would consider eloquent or professional, it is something that everyone does on a regular basis. Therefore, it’s something that would not only prevent me from stuttering but, also, it wouldn’t draw attention to my speech. I would seem almost normal, unprofessional and ineloquent, but at least normal. This was something that I strived for. Of course I wanted to be special and unique and important but only in a positive way. I didn’t want to be different, I wanted to be unique. Different was a bad thing in my 11 year old brain. And that was reinforced very strongly throughout my childhood. I was not encouraged to stutter as a child. Stuttering was viewed as a bad thing that should not be done and was worthy of punishment. It was viewed as something that I did when I got too excited or spoke too quickly (hence why that covert strategy developed) and, most importantly, it was viewed as something that I could fix. If I only worked harder and thought about my words before I spoke, I could prevent this from happening. As I tried to work harder and really think about my words, I quickly became frustrated and ashamed that I couldn’t get them to come out fluently – no matter how hard I tried. Once I learned my covert strategies, I found some relief in this regard, but I still wasn’t saying the words I wanted to say, how I wanted to say them. Before I learned these covert strategies, I chose to speak as little as possible. The less I spoke, the less I stuttered and then at least I wouldn’t have to deal with the negative consequences of stuttering. Silence became my comfort zone, my safe place. When I did speak, I whispered (I didn’t stutter when I whispered!). For the most part, though, my twin brother did enough talking for the both of us, and, often, he did all of the talking for the both of us. This worked at least until I learned my covert strategies. Once I learned these strategies though, I became a lot more outgoing and talkative. I became less shy because now I had a way to say the things that I wanted to say without fear of the repercussions. It still wasn’t ideal but it worked…..for a while. It wasn’t long before I was obsessing over my speech. I spent hours reading dictionaries, just trying to know as many synonyms as possible. I began to develop a valley girl like personality, saying the word, “like” every other word in my fake, high pitched, nasally voice. I hated her – this person that I was portraying. People thought that I was dumb and high maintenance – two traits I absolutely hated. Even though I was considered more “normal”, I didn’t like it. This wasn’t the person I was. So I sought to find a way to be the person that I really was. I became involved in leadership training, in musical theater (where I usually found a relief from stuttering). I poured my efforts into non-verbal activities like sports, music and homework. I loved learning but hated talking in class. I wanted to get through school as soon as possible so I poured my efforts into my studies, skipping grades and graduating early. I finished high school classes at 15 and dual enrolled in college. I loved college and quickly fell in love with Academia. And this is when things began to change for me. I felt more like myself at college than anywhere else. I felt comfortable and safe; it energized and inspired me. I was a sponge, soaking up everything that anybody (especially professors!) told me! My professors mostly supported me and believed in me. They encouraged me to choose my own destiny and to be the person that I wanted to be, rather than letting other people or my past determine that for me. I ate it up and I began to, again, question who I was and, now, who I wanted to be. I wanted to be successful, inspiring, motivating, and impactful. I wanted to make a difference in the world and help large amounts of people. I quickly developed a passion for helping persons who stutter. This was in part due to my own stuttering and my curiosity about what causes it and what can be done to fix it, but, additionally, I wanted to inspire persons who stutter to pursue their dreams and design their own destinies, like these professors had been encouraging me. So, my sophomore year of college, I chose a major in Communication Disorders. I took the introductory class for this and loved every minute of it. By this time, I was very set in my covert ways and really good at hiding my stutter. Nobody knew this and I was beginning to develop a personality that I liked a little better. I had lots of friends and was very involved. I was still trying to prove myself by overachieving in multiple areas but, nonetheless, things were going well for me. That is, until towards the end of the semester. At this point, I was told that I would fail, and that I would be a terrible speech therapist because I stuttered. They strongly cautioned me of pursuing the field. Therefore, I finished up the class much more poorly than I had started and I switched my major. My excitement had been crushed, my dreams deemed unrealistic. I gave up. Even with my covert strategies, I wasn’t good enough, my speech would never be good enough, even while I was being covert. Instead, I majored in Anthropology, emphasized Linguistic Anthropology and learned about language and speech from a different viewpoint. I loved it and my department, but it just wasn’t what I wanted to do. What I really wanted to do was research stuttering and work with persons who stutter. I wanted to empower persons who stutter in hopes that they will have different story to tell than mine. I want their story to be one of empowerment and overcoming their fears; one of support and encouragement. I knew I wasn’t going to be able to do that with a degree in Anthropology. I spoke with several people about what I should do and, at the beginning of my junior year, for the first time, I came out of the “stuttering closet” and acknowledged the fact that I stuttered. It was a difficult time as everyone in my life had no clue that I stuttered. Many were skeptical at first but once I told them about some of the things that I did to hide my stuttering, they understood and, for the most part, they were very supportive and encouraging to me. I didn’t lose any friends because they found out that I stuttered, in fact, nobody really seemed to care. It was such a relief to be open about my stuttering. Shortly thereafter, I began to see a speech therapist regularly. Over the course of the next couple of years, I went to several different speech therapists. I learned fluency shaping techniques and stuttering modification techniques. Most importantly, though, I began to start stuttering more openly and slowly, stopped using my covert techniques. Of course, this was not a perfect journey, I definitely struggled a lot and would often fall back into my covert ways, but I managed to keep getting back on track. I still hid my stuttering from several people, most notably, my parents. The idea of telling them terrified me. The struggle to hide it from them became harder and harder as more people found out and articles about me and my stuttering came out. I grew extremely anxious that they would find out one way or another but I, nonetheless, continued to hide it. The summer before I left for graduate school, I got an opportunity to work as a student clinician at the Successful Stuttering Management Program (SSMP), at Eastern Washington University. Working at this program changed my life. Not only was I able to see some amazing changes in my client but I was able to work on my speech and the impact that it has on my life as well. During this time, I decided that I was done with living in fear of my stuttering and, specifically, of my parents finding out that I stuttered. I told them. Their reactions weren’t particularly negative but it wasn’t exactly supportive either. It clearly made them uncomfortable and confused, they refused to talk about it for a while, but it was not nearly as bad as I thought it would be. Later, I was able to have a couple of meaningful conversations with them about stuttering and I explained a little bit about the disorder generally, and my covert stuttering. I thought telling them would enable me to be completely open about my stuttering and not afraid of it anymore. I thought it would free me of the burden to be covert. It did do that, to a degree, especially during the remainder of the SSMP. However, following that, I moved home for a few more weeks before moving going to graduate school and, in addition to that, I traveled across the country for a couple more weeks with my mother. During most of this time following the SSMP, I went back into my covert ways. I became frustrated with myself, not understanding why I was still being so covert. I still struggle with this, even while I’m 2,000 miles away from them at graduate school. Every time we talk on the telephone, I fall back into my covert ways. I’ve also fallen back into being covert while at my job as a server and, occasionally when I meet new people. I don’t particularly understand why I am still struggling with this so much, especially when I want to be open and overt with them so badly. I understand, however, that it is all a process and this is just a part of that process. For the most part, I’m back on track, working on accepting my stuttering and avoiding being covert but it’s still a struggle – especially when it comes to my parents. I have analyzed the issue in depth, understanding that there are some negative emotions that I hold due to my past negative experiences of stuttering as a child in front of them. However, I have made the commitment to work on my stuttering, accept it fully – even embrace it as something that I believe has made me a better person – and not try to hide it. In addition, I have committed to leaving my past behind me and moving forward. This is much easier said than done and it is a process that will inevitably have its ups and downs but I think the key to all of it is perseverance and support. Through retrospection, I have noticed that the times that I feel the most at peace with myself and my stuttering are when I feel supported, both in general and, specifically, to be working towards an acceptance and openness of my stuttering and myself. I received so much support of this kind while at working at the SSMP and, during that time, I was more at peace with my stuttering and myself than ever. The goal, then, for family members or friends of persons who stutter is to support them. Support can be in a variety of forms, including encouragement, reproach, setting goals and helping them make plans to achieve those goals. Another key element when working towards anything is to set goals for yourself – achievable, mini goals on the way to bigger, broader goals. Finally, it is also important to have self-compassion. During this journey of self-acceptance (or anything really! ), there will be ups and downs, triumphs and struggles, and it is important to have compassion towards yourself. You are not perfect – nobody is, nor will we ever be – we are bound to make mistakes and have some setbacks. Just remember that you are doing this for you and nobody else. If you’re doing this for you, why would you get frustrated at yourself? That’s not helping you, or anyone else for that matter! So be nice to yourself and just keeping looking towards the future. First off, I would like to thank you for such an inspiring essay. I am a post-bacc Communication Sciences and Disorders student at Chapman University in California and we have been studying Voice and Fluency. I think it is amazing how much you have overcome, from people telling you you wouldn’t be a good speech pathologist to now pursuing a graduate degree IN speech-language pathology. I have a few questions to ask: What strategies do you think have helped you most in your stuttering? When you were young and the onset began, did anybody know that you were a stutterer? Do you still find yourself avoiding certain words and using synonyms? Thank you again for your wonderful essay! Thank you for your kind words, I appreciate your encouragement. I also think it’s fantastic that you’ll be entering the field of Communication Disorders and are interested in fluency! When I was young, most people did know that I stuttered, yes. Many of them, such as my family, did not have the name “stuttering” at the time, but they did know that I stuttered. I couldn’t hide it. I dealt with that by not talking as much as possible. I do still find myself avoiding certain words or substituting words. I also still use change my voice to avoid. I use filler words as well, but I’m working on using that technique as a strategy rather than avoidance. But I definitely still struggle with avoidance, yes! I hope that answers your questions! Let me know if you have any more! Great paper about covert stuttering. Last year I wrote a paper about covert stuttering. This year I decided to write a paper why having a good speech therapist is so important. I am learning a different technique which is challenging at times which is called reduction therapy where I do different assignments in the low, the medium, and the high which in that group it can be challenging at times. My speech therapist is always there for me and helps me. She never lets me down because stuttering is complicated at times. Hope you liked my paper. Thank you! The therapy program you talked about sounds really interesting! I’ve heard a little bit about the reduction therapy programs that are available but I don’t think I’ve ever done one. I really enjoyed reading your article about it, thank you for sharing that. Thank you for sharing your story. Your message powerfully conveyed that everyone needs to feel loved and accepted for who they are and that we need to love ourselves as well. Through your testimony, I have caught a glimpse of how difficult it must be for persons who stutter to constantly work at hiding their stutters at home, school, and/or in the community. I do have a few questions for you. Was their any other family members (including distant relatives)who stuttered besides you? Although, you related that you did not advertise that you were a person who stutters until college, did you have anyone growing up that you could relax and stutter in front of without feeling any repercussions? Also, you mentioned you went to several speech language pathologists, and I would like to know which qualities of the SLP or treatment approaches were most conducive to helping you manage your stuttering and/or motivate you to continue therapy? If you took breaks from therapy, what were the main reasons? Thank you so much for sharing and taking the time to read my comments. Thank you for your encouragement, your comments are so kind. To answer your questions, my twin brother stuttered when we were kids as well, however, he grew out of it. I also have a little cousin who stutters. I believe she is 10 or 11 now so she probably will not grow out of it. I think there were also some great aunts or uncles who stuttered but I did not know them. When I was a kid there was not someone that I stuttered openly to, no, I did everything I could to not stutter and there was nobody that I felt that I could stutter around. As for speech therapists, the most important thing for me was someone who was supportive. All of my speech therapists were great at supporting me, with my speech – reproaching me when I wasn’t following through with my techniques, encouraging me that it’s okay to stutter (that was so important! ), and guiding me in finding my own way to communicate how I wanted to. The treatment that worked the best for me, personally, was the Successful Stuttering Management Program (the SSMP) which I mentioned above. In this intensive therapy program, there is a wealth of support constantly. Everyone was working on the same techniques at the same time and each client understood the struggle that the other was going through. It is so powerful to find people who understand the struggle that you have gone through and go through everyday and that’s what makes intensive programs like the SSMP or even self-help groups like NSA (National Stuttering Association) so beneficial. I have taken many breaks from therapy and am currently not participating in any. This has been mostly due to time constraints but there have been several times that I have stopped because I felt that I wasn’t ready, emotionally, to work on my speech. I hope that answers your questions, I’m sorry my response was so long! I want to thank you for sharing such a personal and inspiring part of your life. I feel like I understand so much about what it’s like for someone who stutters but wants desperately not to seem like he/she stutters. I am also a student in a Speech-Language Pathology program, at Chapman University, and being able to read your paper opened my eyes to the experiences that someone who stutters goes through both emotionally and psychologically. What advice would you give to teenagers or young adults who are in the same position that you were at that age, a covert stutterer? I know you wrote about support being crucial, in what ways did people, those at SSMP in particular, support you? I await your response, and thank you again for being so open and proactive in your efforts to help others. Thank you for your comment. I’m so glad to hear that my story was able to help you understand the struggle of a PWS a little bit better. I think it’s wonderful that you’ll be pursuing a career as an SLP! To answer your question, the advice that I would give to another covert stutterer, at that age, is to be open and honest with yourself. It seems like the most horrible thing ever to “come out” and tell people you stutter but it really does get better and, in the long run, it’s so much better for you. Hiding your stutter goes so much deeper than just avoiding certain words or changing how you speak, you’re denying a part of you. Stuttering is a part of you , that probably won’t change. All we can do is accept that and make the most of it (maybe even view it as a positive thing – a blessing). It’s all about the attitude. It’s certainly not easy. It’s something that I struggle with daily but that’s just what it is – a daily struggle. You have to make the choice everyday to be open and not avoidant. It’s tough. There will be good and bad days. Everything that I’ve said above are lessons that I have learned from a variety of people – many at the SSMP – and things that I have understood from introspection (which is also key). This is a part of what support means to me. People, who understand what you are going through, being there for you, helping you with the battles you’re facing, encouraging you, giving you advice, and reminding you when you are not following through with your goals (holding you accountable). That was such an important part of the support that I had at the SSMP (and continue to have from those people). I hope that answers your questions, sorry for length! Great story Tiffani and thank you for sharing. Can you clearly define for me what you would class as a “overt” stutterer and a “covert” stutterer. I find the whole topic very interesting. Personally I do not think we are ever only one and we often swap and change depending on mood and circumstance. Also I think I am a covert who stutters openly and overtly. What I mean by this is for example at work I am not really known as a person who stutters. Yet I do and at times severely. My identity is simply “Grant from IT”. So I go under the radar in a sense. I would love to know your views. Thank you for your comment. I think you brought up a really important point with questioning what we define as “covert” and “overt” and whether or not these are fixed titles or just the expression of our stuttering in that given moment. How I would define overt stuttering is what we would normally consider “stuttering”, the physical repetitions, prolongations, blocks, etc. Whereas, I would consider covert stuttering as the stuff we do to avoid stuttering. For example, avoiding/substituting certain words, altering the way we speak, using filler words, etc. Of course, the tricky thing with this is when we discuss therapy techniques. I, personally, wouldn’t consider therapy techniques as covert stuttering, since these are used strategically and (hopefully) not to avoid stuttering, but rather to communicate more effectively. This is still a tough line to walk since PWS could definitely use the techniques as tools to avoid stuttering. Then I, personally, would classify those as covert stuttering. I think the key is the attitude you take in using them – is it one of avoidance or management? As for whether these terms are fixed or situational, I would definitely agree with you that there can be times when we’re very overt and other times when we’re very covert. I am actually in a very similar situation as you with my work, not really being considered someone who stutters with my coworkers, yet it’s something I do sometimes. I guess the point I’m getting at here is that I don’t think that these identities (covert PWS and overt PWS) are fixed, I think they are dynamic and constantly changing depending on where we are in our lives and with our stuttering. I also think it’s possible that we could be a covert PWS who is overtly stuttering (I know I’ve felt that way on some of my more dysfluent days). I hope this answered your question, sorry about the length! That was such a great point to bring up, thank you for your comment! Thank you so much for being willing to share your story with others! I think it is wonderful that you are preparing to be a speech-language pathologist. I’m impressed by your determination and insightfulness. I, too, hope to be a speech-language pathologist in the future. Currently, I am studying communication sciences and disorders as a post-baccalaureate student. The fluency course I’m in has sparked an interest in stuttering, so I very much appreciate being able to read about your experience with stuttering. I have a couple questions for you. You mentioned that you still sometimes slip into your covert ways when speaking with your parents. Do you find that this is the case when speaking with others who you have known you for a very long time since they may be used to your past speaking habits? Is it easier to avoid being covert with people you have met post-the decision to move toward acceptance since they likely do not have preconceived ideas about your speech? I was told by one person who stutters that hearing her stutter is a good sign because it is an indication that she is comfortable enough with the situation and the people around her to let herself openly stutter. When she stutters less, it can be a sign that she is using more covert techniques and not necessarily saying exactly what she wants to say. I’m wondering if you feel similarly. If not, what are your personal experiences regarding the relationship between comfort level and instances of stuttering? Thank you again for sharing your experience! Thank you for your comments, I’m so excited to see that you’ve developed an interest in fluency! It’s a pretty neat field, in my opinion (although I suppose I’m a little biased!). To answer your questions, I do sometimes slip back into my covert stuttering behaviors when I’m talking with people I’ve known a long time. However, I do this mostly with people that I don’t feel accepted by (either in general, or with my stuttering specifically). I still sometimes do it otherwise just because it is a habit, as you suggested. I suppose it is easier to not avoid with people that I met post-decision, but I definitely still struggle with making that decision to not avoid. I’m constantly worried what people think of me and whether or not they’ll approve of me. This worry (and what MY preconceived notions of the other person are!) is probably the biggest reason I choose to either avoid or not. In this regard, I would definitely agree with what your friend said about how hearing her stutter is a sign of comfort. I tell my friends the same thing, I would suspect that is true for a lot of people who are more covert. I hope that answers your questions! Let me know if you have any others! Thank you so much for letting us read your story. It was fascinating and inspiring to read, especially because you’ve overcome these challenges and have been so successful. I’m currently in the process of applying to graduate school for speech-language pathology and I feel even more motivated to work towards my goal when I hear stories like yours. I think the point that you touched on about self-compassion and self-acceptance is so important. If someone is able to have compassion and patience for themselves, it is so much easier to feel happy. I’d imagine that your future clients will be able to relate to you very well, given your personal experiences with stuttering. I’m sure that their ability to relate to you will help with their progress in therapy, too! You talked a little about support being so important- what are some ways you’ve felt support by those who are close to you? What are some tips you’d give to family and friends who want to support someone who stutters? Thank you again for the wonderful article, and best of luck to you in your studies! Thank you for your sweet comments. I’m excited to hear that you are applying for graduate school for SLP, I wish you luck, I know how stressful all of that can be, but it’ll all be worth it in the end! To answer your questions, I think support looks a little bit different for everyone. For me, it comes in the form of encouragement, advice, and accountability. I have felt supported by those around me when they encourage me in what I’m currently doing and in support of the things that I want to do. Also, through the advice that they give me; laying out goals and helping me break down these goals into smaller goals. And, finally, carrying out those goals by holding me accountability and reproaching me when I am not doing the things that I want to be doing. I think this model of support can be applied to most people but I suspect that support will look a little bit different for everyone. I believe that is one of the reasons it is so important to tailor therapy (and support of loved ones, not just clients) to the individual. Everyone is different and works a little bit differently. So I guess my biggest piece of advice to family members and friends of a PWS is to tailor your support to them and their needs and to always listen to them (without interrupting), showing them (with your actions and, perhaps, your words as well) that stuttering is okay. Thank you for such a heart-felt paper. It is amazing to see the different ups and downs you have had in reference to stuttering throughout your life. You will make an excellent SLP; you will have the empathy and compassion to help your clients most fully. Other then your parents, did any of your other family members know that you stuttered when you were younger? You mentioned a twin brother, what was his take on stuttering in general and was he aware of what you were going through? Thank you for reading my paper and for your encouragement about my decision to be an SLP. To answer your question, to my knowledge, nobody else in my family knew that I stuttered. I suspect this was either because I did not talk enough for them to know that or because they did not understand that what I was doing was called stuttering. I definitely had many adults (family and otherwise) respond to my stuttering, largely with comments such as “slow down” or “think about your words”, etc. These are the kinds of comments that many PWS receive. I don’t think my twin brother cared at all about my stuttering when we were kids. Both of us stuttered so it almost seemed normal. It created a special bond between us since so many people had trouble understanding us yet we could understand each other. Beyond childhood though (and after he grew out of his stuttering), he had no idea what I was going through. I told him that I stuttered about a year ago and since then, he understands so much better. Retrospectively, he has been able to identify some of the weird behaviors that I used to have as being the strategies that I used to avoid. I hope that answers your question! Thanks for your comment. My name is Milena, and I am currently a student at Chapman University. I am in the Post-Baccalaureate program for Communication Sciences and Disorders and am working towards becoming a speech-language pathologist as well! I really enjoyed reading your essay, thank you for being so open and honest with your past and the struggles you’ve faced. It is really admirable that you were told speech therapy wasn’t right for you, but you went for it anyway. That shows great strength and perseverance and is very inspiring to me. I found it very interesting that there are so many techniques you were able to utilize as a young girl, such as whispering, filler words, altering pitch and intonation, use of an accent, and even silence. It shows me just how complex it can be for a person that wants to avoid stuttering as they speak. I have a couple of questions for you. First, I was curious if whispering and use of an accent are more unique to your experience, or have you come across other people who stutter that have used similar covert techniques? After reading your story, I believe you will be a really great SLP and role model for your clients who stutter, because they will be able to relate a lot to your experiences and see how far you’ve come. Are there any tips or advice you would have for other SLP’s, specifically ways to relate to clients who stutter and provide the necessary support to encourage self-acceptance? Thank you again for your time and sharing your story! Thank you for reading my paper and for your comments and encouragement. I’m happy to hear that you’re entering the field of SLP as well and I’m excited that you’re taking the step to learn more about stuttering! To answer your questions, many other PWS have reported similar findings in regards to whispering and some of my other covert strategies. For some reason, there are several things that PWS can do with little to no stuttering! Some of these things include whispering, singing, speaking in unison with others, talking in an accent (or, for some, just playing a character), etc. To answer your other question, I think the most important thing that a SLP can do for their client in regards to support is to remind them that stuttering is always okay. Whether you are teaching fluency shaping techniques or working on stuttering modification, I think this needs to be the foundation. Also, encouraging your client to be open and honest with themselves and engage in introspection regarding that – throughout the entire therapy process – is essential (with anything really, not just stuttering). As for ways to lay the foundation for self-acceptance, that is an excellent question and such a good point to bring up! There are some new and promising therapy programs, and research being done regarding the effectiveness of them, that incorporate counseling (mental health counseling) into the therapy process. I think this is a phenomenal idea and I think that would be a really fantastic way to lay the foundation for self-acceptance. A large part of stuttering therapy is counseling of the PWS so I think this is a logical and effective move in speech therapy. As for advice with relating to your clients, I would encourage you to draw upon your own experiences in your life. Everyone goes through something. Our struggles don’t always looks the same but there are similarities in all of them. Stuttering is a fairly obvious (although I suppose mine wasn’t!) struggle which may give some the sense of their struggle being on display. But even if struggles are not obvious and overt, everyone has them. I think the reminder of that can connect people (both for the client and clinician; and to remind the client that they’re not alone in facing struggle). And, if not empathy, you can always give sympathy and understanding to your client. I hope that answered your questions! Let me know if it didn’t or you have any others! Your comments and questions are so insightful! I think you will make an excellent SLP one day! I wish you luck with everything and hope you continue to explore to interesting and exciting world of fluency! Great job Tiffani! Loved the paper. Thank you so much Dan! You all did a wonderful job with this conference! Thank you so much for allowing me to be a part of it and encouraging me to share my story. And for the role of support that you have played on my “journey to acceptance”! You go, girl! Wow, what a story. You have come so far. As an SLP and professor/supervisor who specializes in stuttering, I have had the distinct honor to work with graduate student clinicians under my supervision who stutter. A couple of them have wanted to work in therapy with classmate. Usually that work was to help them stuttering more openly, an through this work, they realized they have such a gift. This is the same gift you knew you had when you started in to anthropology and realized that isn’t really what you want to do. Am I missing anything? So, how are things going for you right now? Also, have you checked out stuttertalk.com with Peter Reitzes? If Peter is on here, he can correct and comments, but I believe he had a similar story where he was told he could not be an SLP who stutters. Also, Evan Sherman, SLP, PWS – he hosted a blog istuttersowhat.com — and he had a supervisor who did not know how to react to his stuttering. Boy, did both of these guys prove the naysayers wrong. I will echo everyone else’s comments, thank you for such a powerful essay. Thank you so much for your sweet comments and encouragement. And for sharing your experience of working with clinicians who stutter. It is so neat to hear about the perspective change that they were able to have, as they were able to see stuttering as a gift. That is such a great perspective to take – definitely one that I try to hold as well. Things are going well! As I said in my paper, this is a journey, full of ups and downs. Right now I’m coming back up from a down. Once I moved to Tennessee and started grad school, I started to fall back into my covert ways but I’m still working on that and I’m doing better in that regard now. I feel supported here at UT and I love the SLP graduate program here. I’ve also joined the NSA (National Stuttering Association) chapter here and that’s been really neat. So things are going well! Thank you for asking! I have heard about stuttertalk.com and Peter Reitzes! I’ve been listening to Stuttertalk for a little over a year now and I love it! It has had been so helpful to me while I was beginning to “come out of my stuttering closet” and I still really enjoy it. I can relate to Peter very deeply with his struggle with covert stuttering and listening to him on Stuttertalk has been really helpful for me as I work towards acceptance. I have not heard of Evan Sherman or istuttersowar.com, however. I will be sure to look that up! Thank you for the recommendation and for your comment. Your paper was truly inspiring. I am currently pursing my masters degree in speech pathology and enjoyed listening to your story. I was surprised that you received such negative comments from your professors about becoming a speech pathologist. I thought with you being a person who stutters they would have loved to have you join their program. I was shocked that said you would be a terrible speech pathologist. I am glad you stayed in the field and good luck in grad school!! Thank you for reading my article and for your comment. I have had several others share your surprise about the negativity that I received from that professor. Unfortunately, many PWS who enter the field of SLP have experienced similar situations. There are, however, many programs and people who do share your attitude, that stuttering could be a benefit to the clinician since they have experienced the struggle of having a communication disorder and have been through the therapy process on the other side of things. I have received a lot more support from my graduate program at UT, my clinical supervisors from the SSMP, and other people in the field. So, thankfully, there are many others who hold views similar to yours. Good luck to you, as well, in grad school, I’m sure you will make a fabulous SLP yourself! Thank you for your interest in my story and for your kind comments. Thank you for sharing your story. It is truly amazing all the techniques we all use to compensate for we personally believe are inadequacies. I am most proud of you for telling your friends and family that you are a person who stutters. I was happy to hear that you did not loose friends. I hope you even had many teachable moments between you and your friends. I suspect you taught your friends sympathy, empathy and drive! I wonder what would advice would you share with other young adults? More specifically how would you advise a young adult to approach and an open up to their parents, educate their parents, and even forgive their parents for not fully understanding stuttering? Thank you for reading my paper and for your comment. Your comment showed a lot of really great insight into how stuttering can be used positively, as a way of teaching people sympathy, empathy and drive. I completely agree with you on these points! I obviously can’t speak for my friends and family, but I like to think as they are walking with me through this journey, they are learning those – and other – things to help grow them as well. To answer your question, the advice that I would give a young adult is to work towards a change in perspective. I think the biggest/most debilitating part about covert stuttering is the perspective that we take, towards our self and the world. I can’t speak for others, but, for me, covert stuttering developed due to my negative perceptions towards people and how I suspected they would treat me if they found out that I stuttered. I had assumed they would think less of me or that something bad would happen if I stuttered around them. I learned (and am still learning) that that is often not the case. Many people will not think less of you because you stutter. Some may even think more highly of you. Even those who do, usually have those feelings because they are uneducated and ignorant. In these instances, we have the opportunity to educate them and prove to them that the negative perceptions that they hold are false. An example of this in my life is during my senior year of undergrad, I was doing a research project on the perceptions of stuttering. For this project, I interviewed students and asked what kinds of perceptions (positive and negative) they had about PWS. Some had positive/neutral ones, others did have negative perceptions. During these interviews, I did not stutter (I used therapy and covert techniques to not) so they openly relayed their opinions to me. After the interview, I advertised to them that I stuttered and educated them (kindly) about stuttering. This wasn’t part of my project, but something that I wanted to do. All of these people, who had told me all of these negative things about PWS received me and my education really well. It actually really made a difference in the way that they think – I got to watch as their perceptions changed just because they now had exposure (of perhaps different exposure) to PWS. I think changing your attitude from assuming that people will disapprove of you because you stutter to viewing it as a way to teach people, open up their minds, and broaden their perspectives (perhaps teaching them patience, sympathy, empathy, etc.) is key. I think this advice can be applied to both parents or really anybody. It’s certainly not easy. Telling my parents was probably the hardest thing that I have ever done and I am still struggling with how to deal with them with this but I am so glad I did it. It’s not worth the stress of trying to hide it and pain when you fail to do so. As for forgiveness, that takes time and it’s something that I don’t know if I have achieved yet. I hope that kind of answers your question. It is definitely a difficult one for me to answer since I am still in the process of struggling with this. As with past commenters, I’m also a speech-language pathology grad student. Thank you for sharing your story. It’s always helpful for me to learn how to become a better therapist by learning from the people that I will be helping what makes a good therapist. I also have some questions for you. Hopefully all of the questions aren’t too overwhelming! While I was reading your story I was wondering if there are times when being covert feels easier for you or does it always feel like you aren’t being true to yourself? As someone who does not know what it feels like to stutter I have always been curious if using covert techniques is ever helpful.I know someone else asked if you had any family history of stuttering, but I was wondering specifically about your twin brother. We know that there is some sort of genetic component to stuttering and knowing that it would be more likely with a twin I wanted to know if your twin brother has had any similar experiences? Thank you for your interest in my story and for your comments! I think it’s fantastic that you are taking opportunities such as this to grow yourself as a speech therapist, that’s a fantastic attitude! I’m sure you will be a wonderful speech therapist one day! To answer your questions, there are definitely times when being covert is easier than being true to myself (being overt). This is probably most of the time honestly! But in all of these instances, I don’t feel like I’m truly being myself. If I am doing something to actively hide/avoid my stuttering, I feel as if I am not being genuine (therapy techniques are different, however, since I view these as managing, not hiding). There are, however, times when this does not matter to me as much. For example, it doesn’t particularly matter if the employees at Walmart know that I stutter. It’s easier to be covert in instance such as at the grocery store, etc. just because those people do not matter to me directly. It’s good practice to advertise and be overt with more people (even those who don’t matter), though, so even in those instances, it can be beneficial to be overt….that’s something I’m working on. Covert techniques have the ability to be helpful as long as they are used in a strategic, therapy, stuttering management kind of way. I am an advocate for using these otherwise avoidance techniques in a way that is positive emotionally (e.g. for management of stuttering, in the same way that we use therapy techniques). Even learned therapy techniques can be used as a way of avoiding stuttering, the key is the way they are used (management vs. avoidance) and the attitude that you take when using them. My twin brother did stutter when we were kids. He was actually more severe than I was. He, however, grew out it and I did not. His stuttering never had the emotional impact on him that it did on me. While I internalized the pain, frustration, and fear by being silent and learning covert techniques, he never let it stop him from talking, whenever and however he wanted. His stuttering did not continue past elementary school. I hope this answers your questions! Good luck with your graduate studies as well! I am a 2nd year graduate student, studying Speech Language Pathology as well (I will graduate in May 2015), and I am currently taking a fluency class that I LOVE. First of all, you are an amazing person with a great story! I am so happy that you found the field of SLP, and I know that you will be a great therapist because of the personal insight that you will bring to the table as a clinician. I do have question for you! I am currently in a clinical placement in the public schools and I am working with a 6 year old little boy who stutters (mostly mild repetitions and a minimal prolongations). My question for you is what kind of things do you think would have been helpful for you as a 6 year old kiddo to hear from your SLP? Thank you for your interest in my article and for your kind comments and encouragement. I think it’s wonderful that you are interested in fluency and that you are taking the steps to become a better clinician in any way that you can! Because of this, I think you are going to be a fantastic clinician! You pose a difficult question that I am not really qualified to answer in any official way. I will answer it based on my personal experience with stuttering, however, just keep in mind that it is just that: my personal experience, it may or may not be therapeutically or scientifically sound. The advice that I would give you is to help your client become desensitized to stuttering. We do not know whether he will spontaneously recover or not since he is still so young. He may recover, or he may become one of 1% of adults in America who stutter (like me). Desensitization is really important whether he will recover or not, however, it is absolutely essential if he does not recover. He needs to understand that is okay to stutter. If he does not recover, chances are he will never be able to achieve absolute fluency, no matter how much speech therapy he goes through. So it is essential that he takes the attitude that it is always okay to stutter and that what he has to say is important, no matter how long it takes him to say it. Desensitization and assuming this attitude will hopefully prevent him from becoming a covert stutterer and reduce the impact that stuttering has on his life functionally. I hope that answers your question! Good luck with the rest of your graduate studies and your client! Such an awesome story! Thank you so much for sharing! I am a first year grad student as well studying speech-language pathology and your story is so inspiring! I had a question about your exposure to speech therapy as a child. I know you had mentioned that when you were growing up, stuttering was not acceptable, but did you work with a speech therapist at all in your younger years? Or did you develop the covert stuttering strategy on your own as a way to cover stuttering? Thank you again for sharing your story! Good luck in grad school! Thank you for your interest in my article and for your sweet comment. To answer your questions, I did not see a speech therapist when I was a child. I was recommended but was not allowed to. My stuttering was seen as something that was my fault, something that I could fix, not something that I should needed assistance for. My covert behaviors were developed through trial and error on my fault. When I was a child, I had a lot of things that I learned to compensate for due to experiences that I went through as a child (I won’t go into those other things here). I tried various different things in hopes that they would help me not stutter and once I found them, I used them. The effectiveness of these strategies wears off over time so I found multiple different ways to avoid and used them all (some more than others if they worked better). I hope that answered your question! Good luck in your graduate studies as well! Tiffani – Thank you so much for sharing your journey. I really admire the will determination you had as a child and teen to with your studies. College at 15. Wow. I am so happy I met you this past summer at the Successful Stuttering Mangagement Program (SSMP). You were a bright light during the program. Thanks for your encouragement and for your constant support throughout my journey. You have been so wonderful throughout this whole process and I really appreciate you. I’m so glad I met you at SSMP too! I will be sure to share this on the SSMP page! I am an international student and I have ever told that I could not be a SLP because of my speech and language proficiency. So I was in the same boat to feel how frustrated and sad you felt… However, it is so wonderful that you have overcome some fears and self-doubts to become a great either therapist or academia scholar in the near future for PWS. It’s so invaluable to have you in this profession and I am sure you would make a great difference in people’s life with all your persevere and inspiration. Thank you for reading my article and for your encouragement. You are so sweet! I’m sorry that you have discouraged about being a SLP as well, I think you will make a fabulous SLP! Don’t let the things that people say hold you back! Thank you again for your kind words and for your interest in my article. I am (like many previous posters!) a SLP graduate student, and currently taking a fluency course which I have found incredibly interesting. In school, I feel like we learn so much about theory, but often don’t always get to hear the candid perspectives of those we serve. I love that you are able to provide BOTH points of view. 🙂 Thank you for sharing your struggles, challenges, and triumphs so openly with us! I admire your determination and your desire to make a difference and help others – the world needs more people like you! Best of luck with grad school and beyond! Thank you so much for your interest in my article and for your kind words. You’re encouragement is so appreciated and I’m so glad that my article was able to touch you in the way that it did. Props to you for going above and beyond to learn about the experiences of PWS by reading articles posted for this conference! That will serve you well as a clinician, enabling you to better understand and relate to your clients! So way to go! I’m sure you will be a fabulous SLP one day! Good luck to you in grad school and beyond and thank you again for your interest in my story! I want to thank you for your inspiring words. You have said so many great things in your essay. As a student speech-language pathology and pws, I recognise a lot of your story and I have so many respect for the ways you dealed with the different situations. I wish you all the luck you need with the rest of your studies and future job. Thank you for reading my article and for your kind words. It is always nice to meet a fellow PWS who is an SLP student! I’m glad that you found my story relate-able and appreciate your encouragement. Good luck to you in your studies, speech, and life! Thank you for sharing your powerful story. I am also a Graduate Student in Speech Language Pathology and I love to hear stories that will help me understand and support PWS. While reading through the comments, I saw where you talked about giving advice to young adults about changing their perspective. In all of my fluency classes, we have talked a lot about the “stigma” that some people in the world think about stuttering. People seem to see stuttering negatively when they have zero knowledge about stuttering. Have you thought about different ways to educate people about stuttering? I saw that you did a research project about perceptions of stuttering. That is very fascinating. It interests me to know if the individuals who had a positive outlook on stuttering were educated about stuttering or had some kind of knowledge about it compared to the ones who had a negative outlook. Thank you for sticking with this field even when others did not believe in you. I believe that this field needs more people like you, ones that are very familiar with stuttering that can give advice to fellow SLPs and ones that can relate to clients and impact them the most. As my professor says very often “this field needs you and somebody believes in you.” Keep doing what you are doing. And thank you again for sharing!! Thank you for reading my story and for your insightful questions. The stigma about stuttering is definitely a large factor in the emotional impact that stuttering has on PWS. How we reduce that stigma is an important question to consider. That was the primary goal of my research project that you mentioned and I did find that, in general, people who knew someone who stuttered or who were a part of my experimental group (where I gave them education about stuttering) had more positive perceptions – statistically significantly. So education and exposure in general does change perceptions. Ideally, we would teach about communication disorders in a general, diversity awareness class in college (which is something my undergrad university is doing now, after my research project). But even the smallest things can be used as a way of educating people about stuttering. I, personally, try to take the attitude that my interactions with people (when I stutter) can be used a tool to change their perceptions and educate them about what PWS are like. I often get the opportunity to talk to people about stuttering in my daily life. These may seem small, unimportant interactions but those kinds of situations are (hopefully) slowly reducing this stigma – one person at a time. There are a lot of ways we can do this though – wearing NSA t-shirts, writing blogs, fundraisers, anything that gets the message about stuttering out and opens the door to conversation. Thank you so much for your kind encouragement and for asking such a great and important question! I wish you the best of luck in your career and in graduate school! I appreciate the courage and resolve you have to pursue this career, especially in spite of people who are so disparaging about your effectiveness as an SLP. As a fellow student, I appreciate the perspective you bring, not only to your own clinical style, but also to others (including my own), through sharing. So thank you for that. I was curious about what the “ideal colleague” may look like for you. You speak about what support looks like, in terms of supporting yourself, and having compassion for yourself. You also alluded to discomfort you felt around other professionals at SSMP. When you do choose to “come out”, what would you like from the other person in terms of support, specifically in the professional setting? Thanks again for your courage and best of luck in your studies! Thank you for your interest in my story and for your sweet comments. I’m so touched to hear that reading my story has impacted your clinical style in the approach you take towards PWS in therapy. To answer your question, the ideal colleague, for me, would probably just be somebody who doesn’t see or treat me differently because I stutter. I think such a large part of the stigma attached to being a PWS is we think people see as inferior (and some people treat us that way for sure!). So I think the most important thing is to to not do that, to treat the PWS with respect as you would with any other colleague. If you wanted to take support further, you could find out what they are currently working on with their speech and encourage them in that (hold them accountable with their techniques, etc.). This was similar to the support that I received at the SSMP. Also, being there to help them troubleshoot with their clients in therapy (something we do with SLP’s normally!) would be helpful, especially if their stuttering is giving them trouble in therapy with their clients or client’s families. Thanks for such a great inquiry, that’s something that I hadn’t thought about before and it’s an important point. I have no doubt you will be an excellent SLP and I’m sure your potential interactions with SLPs who stutter will be nothing by supportive and encouraging! I am very inspired by the courage you show by sharing your story and pursuing this profession in spite of what people have said. Your story has helped shape my perspective as a fellow student and future SLP. I have no doubt you will be a wonderful therapist and your insight is invaluable to this field. I was wondering if there has been a technique or words of advice that have helped you? Also what advice would you share with teens and young adults who covert stutter? Thank you again for sharing your story and best of luck in your endeavors! Thank you for reading my article and for your kind words. To answer your questions, the techniques that have been most helpful to me are what I learned at the SSMP. This includes stuttering reduction techniques such as prolongations, pullouts, cancellations, and negative practice, in addition to avoidance reduction strategies. Those are the most helpful to me as a covert stutterer. I would encourage that other covert stutterers engage in avoidance reduction programs/learn strategies and perspectives once they are ready to work on their speech and be open about their stuttering. The technique that is the most beneficial to me as a covert stutterer is negative practice. This is also called voluntary stuttering. It allows me to stutter up front (and in control of it), advertise, and move on with my conversation without worrying about stuttering. Of course, this is not easy and I still struggle but I’m working on using it more and would encourage others who covertly stutter to use it once they have the necessary perspective towards their speech (that it’s okay to stutter). I hope this helps! Good luck with your studies and your future career and thanks again for your interest and inquiry! I loved your essay and had a few follow up questions. You mentioned that you used to use synonyms when you were avoiding certain words. Do you still feel that you do this on occasion? Also, what strategies do you think have helped you most in your stuttering? Thank you for reading my article and for your questions. I do still find myself using my covert strategies – all the time. It is a constant battle every day. Ideally, I make the decision to be overt and work on my speech/acceptance of my stuttering throughout my day but this is not always a reality. Sometimes it just seems easier to avoid….I’m definitely still working on this. The strategies that have been the most helpful have been the ones that I learned at the SSMP (I describe them more in depth in the comment above). I hope this helps! I also want to congratulate you for pushing through those hard times in your life and beating the struggle! You are so right, we are all human and no one is perfect. It is often hard to reach this expectation of “normal” when no one really knows what that term means! I am also a first year graduate student studying speech-language pathology and am thrilled to start helping others achieve their dreams and push through their hardships. I was wondering, what advice, through your experience in therapy and throughout your studies, would you give the future SLP’s in facilitating therapy to persons who stutter (PWS)? I have heard so many stories of therapy not being a success for PWS so I am wondering what you have found to be helpful or not? Thank you again for sharing your story and I wish you the best of luck in all your future endeavors!! Thank you for reading my article and for your kind comments. To answer your question, I think it is important that as an SLP “treating” someone who stutters that you are up front about the functionality of treatment. It is true, for many therapy does not exist (or to a much lesser degree) outside of the therapy room. I have been in this situation myself. I think it is important to be up front about the sucess of therapy (it will not cure the stutter), and the effect that using it will have on daily life (will speech naturalness or ease be compromised? how much work will the PWS have to put into making this therapy a routine? Emphasizing that they will have to work at this, on their own, outside of the therapy room, and they will need to recommit to working on their speech and using this therapy everyday). Being honest and realistic is important, as well as reducing the emotional impact, first and foremost, no matter what therapy approach you use. This is, in my opinion, the most important thing (and the biggest functional impact). As for your other question, I do not think I have read that! Could you post a link to it here? As an SLP who stutters I hope to bring an empathetic, realistic perspective to my therapy. I am hoping that my personal experiences will help me connect with clients and better understand what they are going. I am hoping my personal experience, in combination with deeply understanding their unique experience (because no two PWS are the same!) will allow me to help them to the greatest degree possible! I do, however, think that other SLP, who do not stutter, can still be fantastic and it sounds like you will be an excellent one! Good luck with your studies and your career! And please, let me know if you have any other questions or want clarification from my answer. I am also a graduate student in speech language pathology and I know many of these sentiments have already been voiced but I wanted to thank you for sharing your story, your struggles, and your goals. It is very inspirational to hear how you continued to follow your heart to continue the journey to become a Speech-Language Pathologist despite the different challenges that you faced along the way. I am sorry to hear that you were told you would not be a good SLP because you stuttered. That is very sad to hear. However, that seems to me quite the contrary after reading your story. It is passion like yours that will propel the field forward and bring quality therapy not only to people who stutter but to all kinds of clients. I also had the opportunity to be a clinician at SSMP at EWU in 2013. I found it to be a life-changing experience. While you were there what did you take away as being the most beneficial for you as a future clinician? As a person who stutters, what management techniques do you find to be the most beneficial? Finally, do you feel that as a clinician who also stutters you have an advantage in the therapy room when working with people who stutter? Thank you again and best wishes on your future! Thank you for reading my article and for your comments and questions. I think it’s super neat that you were a clinician at the SSMP too! I hope you found it as rewarding and educational as I did! I would say that the most beneficial take away from being a clinician is to model therapy. Now that I’m in grad school learning about all of these things, I can understand how important (and potentially overlooked) modeling can be but I think that is so essential. In addition to that, I value the SSMP’s perspective towards modeling as challenging the clinician to never ask the client to do something that they, themselves, wouldn’t do. I think that is such a profound and powerful idea and it is something that I will definitely take in my clinical work. To answer your other question, the management techniques that I find the most useful are pullouts and negative practice. In addition, I have been using starters to help me initiate speech and I’ve found that helpful. I use those the most frequently, however, I think prolongations and cancellations are also beneficial, I just don’t use them as much. Right now, I’m still struggling with being overt (rather than covert) so some of the techniques are as applicable to my current speech habits right now but I have found benefit in all of the SSMP management techniques. Other techniques that I’ve tried (such as breath control on the fluency shaping side) have not been very helpful for me personally but for some it is. As for an advantage in the therapy room, I’d say it may give me more empathy and deeper understanding (to help me connect to clients more and understand their struggles more deeply) but I think clinicians who don’t stutter can still be very effective in therapy! I hope this answers your questions! Good luck with all of your future endeavors! I’m an SLP graduate student at WCU. We’ve learned a lot about covert and overt escape strategies, but it is so incredible to be able to read your first-hand journey in working through these strategies to be your true self. I feel that everyone uses strategies like these to deal with issues about themselves that they aren’t ready to share with the world. I certainly do. It is so empowering to read about how you continue to work to overcome and be the person you feel you’re meant to be. I just have a few questions that, as a fellow graduate student, I would love your perspective on. As an SLP, how do you hope to use your story to empower and help your clients? Do you think there is a line between you as a clinician and you as a person who stutters, or are these two parts of you intertwined when working with a client? Do you think that your journey will help you when working with clients who struggle with all aspects of communication beyond just stuttering? Thank you for reading my article and for your comments and questions. I think you make a good point that everyone has issues that they deal with (many in much the same way that we covert PWS do – by avoiding them at all costs). I think we can all relate to each other’s struggles at least in part. I hope to do just that – relate to my client’s struggles – with the struggles that I have faced. Of course, no one’s story is exactly the same (nor is their stuttering!) but as you so wisely noted, we can all relate to each other in some way. I’m hoping that my story will not only relate to other PWS but empower them (as you mentioned) to be the people they want to be, say the things they want to say, and not let their stuttering (or the world’s perceptions towards it) hold them back. It’s so much easier said than done (I definitely still struggle with this!) but I hope to walk with my clients through this journey as they learn to be empowered and achieve their goals. As for the line between being a clinician and a PWS, that’s a more difficult question. I would love to have a semi-black and white line between those two roles but I think it is more of a continuum. There definitely is a line between Tiffani, the clinician helping my client, and Tiffani, the client working on her speech. In therapy, it is all about the client, not me. I can (and should) be working on my speech as well, practicing/modeling the techniques that I’m teaching, but in the end it is all about them – that is the focus. I think that is the important line. I can share my story and insights with them to help them, but just for that purpose – to help them. I do hope that my journey will help me when I’m working with all kinds of clients, yes! I think that sharing a communication disorder (no matter the disorder) will help me relate to and work with my clients – that is my hope anyway! I think this may be more difficult because, as my professor noted, clients may not want to attend therapy with me because I, myself, have a communication disorder that isn’t “cured” so what does that say about the therapy I can provide to cure theirs? It’s a trick situation that will vary case by case. I think it will largely depend on the client (and family) and their perspective – whether having an SLP with a communication disorder is a positive or negative thing). So we will say! You bring up some great points, thank you for your insightful questions and, again, for reading my article. I wish you the best of luck with your graduate studies and future career! Thanks so much for your awesome story! I’m in graduate school for speech language pathology at Fort Hays State University in Kansas, and am set to graduate this spring. I have not had any experience yet with an adult who stutters and I’m afraid I will let my “speechie” side show and analyze their speech, rather than listen to what they actually have to say. Do you have any advice on how to be a good listener? What were some things that others did for you when you stuttered that made you feel more accepted or even helped you feel better about what was happening? Congrats on your upcoming graduate, that is very exciting! I can see the struggle your anticipate since you’ve never worked with a PWS. First of all, I would encourage you to do that! You can find programs such as the SSMP to give you more familiarity with working with PWS. Otherwise, though, I would just encourage you to listen to them (it’s okay to analyze their speech – I do that too and I have a lot of familiarity with stuttering!). I bet you’re better at balancing these two than you think. It’s actually a really positive thing to be able to listen and analyze, since you will want that skill when you’re monitoring their speech for their effective (or ineffective) use of their techniques. I think it is one of those things that you will get better at over time. Just remember that they are real people who have really important things to say (which I know that you know! ), for some PWS just listening to them is huge (some many people in their lives may have not done that). Things that you can do for someone who stutters to help them (and show you’re listening) is let them finish what they’re trying to say (and encourage them int that). Don’t interrupt and fill in the word for them. Also, maintain eye contact with them! That is huge and it is one of the first things that many therapy programs teach PWS. I hope this advice helps and I wish you the best of luck with your career! First off, cheers to you for being so brave and strong to share your story with all of us who are apart of this conference! I don’t personally stutter but can only imagine it takes a lot to be so open with complete strangers! Your story is very touching and heartbreaking (in the early years). I feel bad that you were unable to be open and resulted in all of your covert strategies to feel “normal”, I so wish that people would be more accepting even as kids! Some of the points you mentioned made me think of my client who stutters. She too does not speak to her family members about her stuttering because all of them are not supportive and mostly think she is faking her stutter. Do you have any advise I could give her on where to start or how to feel more confident to talk to her family about her stuttering? Also she has picked up on her own strategies and tend to fall back into them throughout most her speaking, do you have any tips or hints I can suggest to avoid falling back into those strategies? Thank you for reading my article and for you kind words and great questions. The two questions that you asked regarding your client are two of the greatest struggles that I am facing currently as well so my advice will come as someone working on these areas, not as someone who has overcome these problems. What I would suggest with her family and removing her covert strategies is using negative practice (or voluntary stuttering). I never used to like/use this technique until recently, I’ve really seen the benefit of it! If you use it to start, it will give you an opportunity to advertise (which I would also encourage) and then educate if the situation calls for it (such as her parents). Working on you speech and, especially, removing the covert strategies, is hard work and requires you to recommit to working on it throughout the entire day! I would encourage your client to break down each situation into mini goals. For example, I really wanted to order a pizza tonight but I told myself I wouldn’t be allowed to do that unless I started off the conversation by voluntary stuttering on the “d” in delivery (which, naturally, lead to a real stutter). Throughout the rest of the interaction, I stuttered a lot and I stuttered confidently, employing a couple of handling techniques too (such as prolongations and pullouts). Mini victories and challenges like can be very rewarding and help you to say clearly focused on working on your speech without letting it overwhelm you. I hope that helps! Good luck with your client! I thoroughly enjoyed reading your story and I commend you for sharing your experience! It is often difficult to share your story with others. I am glad you chose to share your story of acceptance because it is truly inspiring. Stuttering often has a negative connotation linked to it, but your story promotes such a positive message! I am currently pursuing a master’s degree in speech language pathology. I was very surprised by the negative comments you received from your professors about becoming a speech-language pathologist. I would have thought the professors would have been open to you joining the field because you could provide great insight. I am glad you found a program that is embracing your experience as a person who stutters. Your passion for the field will make you a great speech-language pathologist. What strategies do you believe were most beneficial? Also what advice do you have for future SLP’s working with individuals who stutter? It is great to see that your stuttering is not holding you back from pursing a degree in speech-language pathology. Keep sharing your story! Best of luck on your future endeavors! Thank you for your kind words and encouragement. To answer your questions, I found the strategies (therapy strategies specifically) that were the most helpful were pullouts (using a prolongation while in a moment of stuttering to get out of it), negative practice/voluntary stuttering to help avoid avoiding and allow me to advertise, and self-advertisement. Advice that I would give to SLPs working with PWS is to make sure they know that it is okay to stutter – always! I think that is key. And to, above the speech stuff, address the emotional impact that stuttering has on the PWS (this can often be far greater than the actual speech issues). I think this can be accomplished through self-actualization/realization, dealing with avoidances, perhaps, incorporating mental health professionals (some researchers are beginning to research the efficacy of this and having promising results). I hope this answers your questions. Thanks for your interest in my article! I wish you the best of luck in your studies and your career! Thank-you for sharing your story with all of us. I am working toward my master’s degree in speech-language pathology, and it is inspiring to hear the journey you have gone on to get to the point you are at now. I think it is awesome that you are pursuing a career in speech-language pathology as well. I think that individuals who have experiences such as you have are even better SLPs for it, because you have experiences and knowledge from both sides of the story. It is great that you are taking your journey as an opportunity to inform and help others. I know you talked about going to therapy on and off, but I was wondering if you were or are involved in any stuttering support or social groups? Also, you have stated previously that your brother stuttered when he was younger as well, but that he grew out of it. How did he react when he found out that you still stutter and were remaining covert? Thank-you again for your wonderful story and good luck at school! Thank you for your interest in my story and for your encouragement and questions. I am not currently in therapy, although I’m considering trying it again…I’m not sure at this point. I am involved in my local NSA (National Stuttering Association) chapter however and that’s a nice support system. Before now, I had not been involved in any support groups. As for my brother, when he first found out, he was convinced that I was lying and that I didn’t actually stutter….that was difficult for me to deal with as it was so hard to tell him. Over time and lots of education, however, he was able to see that I truly did. I explained to him my avoidance strategies and he had noticed those when we were younger so that really helped him understand. I hope this answers your questions. Thanks again for your comments and questions! Thank you for sharing your story! I enjoyed reading your post as well as all of your replies to others’ comments. I think that it is awesome that you have developed such a strong passion for this field; I think it will help you become a great SLP! I, too, am currently working to obtain my Master’s Degree in Speech-Language Pathology and I loved hearing your story! I know you referenced others in your life who would say things like, “slow down” or “think about your words” whenever you would have disfluencies. What tips do you have for family or loved ones who know someone who stutters? When working with families of people who stutter, what is it that you coach them on regarding their child/family member’s speech? As someone who does stutter, I feel that you would have a great perspective on this. Thank you again and good luck with all of your future endeavors! Thank you for reading my story (and the comments, there’s a lot – wow!) and for your encouraging words and good, clinical questions. To answer them, I would coach your families to, most importantly, listen to the PWS and allow them to finish what they are saying (no matter how long it takes – encouraging them to stutter and not avoid). Additionally, it is important that the PWS feel supported, in general, and with their speech (whether that be practicing their techniques with them, encouraging them to stutter freely and not avoid, or whatever they choose). The older the PWS, the most likely the stuttering won’t go away so they need to figure out what works best for them – to help them communicate most effectively (whether that be using a technique to aid fluency or just learning to be a confident PWS who stutters openly and confidently). Supporting them (as an SLP and family member) in those choices is key. I hope this answers your question! Thanks again for your post! I loved reading about your journey, it is truly inspiring. I am currently a graduate student at Appalachian State University studying Speech Pathology, also. I was wondering… during speech therapy, what did you find most helpful in your experience? Also, is there anything you would recommend for me not to do with my clients who stutter? And, lastly, is there anything you did not receive through speech therapy that you feel would have been beneficial for you? Thank you so much for your story! I thoroughly enjoyed reading. Thank you for reading my article and for your questions. You are right up the road from us here at UT, in Boone! That’s exciting! To answer your questions, one thing that I would NOT recommend that you do in therapy is have the attitude that you are “fixing” the person of their stutter. This can take the form of just forcing them to learn techniques with the goal of absolute fluency in mind (even conditioning them not to stutter). All of that is unrealistic and negative to the PWS. We don’t know how to “fix” or “cure” stuttering yet so no therapy approach has good enough validity for us to have that kind of attitude (it is so likely they’ll relapse from therapy and have a really negative attitude towards their speech and themselves). It is important, no matter what techniques you are teaching them, to remind them that is is okay to stutter and that there will be times when they will – and that’s okay. Also, dealing with the emotional impact (past, present, and potential future) is another key component – remember, counseling our clients is a part of our scope of practice! The most beneficial speech therapy I have had allowed me to feel supported in whatever I do (whether that be having moments of stuttering, using my techniques, or a combination of both!). I think the most beneficial speech therapy is catered to the individual client (what they want to – and are ready to – work on), deals with the emotional and functional impact of stuttering on their lives and themselves, and allows them to stutter when/if they need/want to. I hope this was helpful! Good luck with your studies and your career! Thank you so much for sharing your story! I feel like I have a better understanding of how exhausting covert stuttering can be. I am happy that you are becoming more and more comfortable with being your true self and embracing your stutter. One thing that shocked me while reading your story was that you were being discouraged to become a SLP because of your stutter! I am currently a graduate student in speech-language pathology at Illinois State University. In class we frequently discuss that individuals who stutter can provide the best therapy to other individuals who stutter because they have the deepest knowledge of stuttering and the emotions that come along with it. As I was reading your story I also wondered what your perceptions of speech-language pathologists or speech therapy was while you were growing up. Did you ever want to enroll in speech therapy during your childhood/adolescence? Thank you for reading my paper and for your comments and question. To answer it, I did not want to enroll in speech therapy as a child or adolescent (at least not until I got the point in my adolescence where I choose to accept my stuttering and not be as covert anymore). Prior to that point, I had no desire. I had viewed stuttering as something negative and I did not want to draw attention to it at all. Since I figured out ways to hide it, the idea of going to therapy was like accenting this thing that I wanted nobody to know about or notice. In retrospect, therapy would have been helpful, if for no other reason than reducing the emotional impact early, but that was not my thought process at the time. Like many other commenters, I am also a speech-language pathology graduate student. I was especially moved by your paper because you have such a unique perspective to offer as a clinician who stutters. Both SLPs and people who stutter can relate to things that you communicate, and you have the opportunity to help bridge the gap that still too often exists between clinicians and the fluency clients they serve. Thank you so much for openly sharing your experiences, struggles, triumphs, and continued challenges! All the best to you as you finish grad school and pursue your PhD! Thank you for reading my paper and for such a cheerful and encouraging comment! It is so nice to hear such encouraging things! I wish you the best of luck with your studies and your career as well! I have learned so much just from reading your paper here. I am a graduate student studying to become an SLP as well. You have done a lot of wonderful self discovery that has put you on a great path to success. It sounds like a big part of that self discovery are the realizations you have had in regards to your parents. Having said that, if you were working in a school and had a young student with an emerging stutter, what advice/recommendations would you want to make sure their give their parents? Thank you for reading my paper and for your comments and question. If I were working with a child who stutters, my advice to their parent would be largely dependent on the age of the child. If they are young, I would educate them about what we know about stuttering (specifically highlighting that some children spontaneously recover, so their child may grow out of it, and that some do not, so their child may not and, in this case, they will have to deal with this for the remainder of their lives). For younger children, speech therapy would still be recommended. For older children, I would educate the parent and child on the fact that they will always stutter – that it will probably not go away and that it is something that they will have to learn to live with from this point out. I would encourage the parents to help their child learn to accept their stuttering and find their voice (showing them that it’s okay to stutter and encouraging them to help their child learn and practice the techniques that help them communicate). In both cases, I would encourage the parent to be patient and listen to the child, letting them finish their words for themselves rather than interrupting and finishing words or sentences for them. I would also encourage parents to create an “stutter-friendly” environment where the child feels knows that it is okay to stutter – no matter how long it lasts. I would discourage parents from using phrases like “slow down” or “just think about your words” or, especially, from punishing the child in any way because they are stuttering. I hope this answers your question! Thanks again for commenting and for your interest in my story. As so many others have already said, it is so informative and inspiring to read a story like yours, so thank you for your honesty and openness in sharing it. I found it fascinating to read about how you became so adept at your covert strategies and hid your stuttering so well, that even your parents weren’t aware of its extent! I imagine trying to hide something like this about yourself was as painful as the stuttering itself. I also imagine that trying to stop using covert strategies would be a huge challenge. I’m wondering if at this point you see any positive sides to your strategies – are there any you intentionally hold on to, or would even share with clients as beneficial tools to use? One positive of your strategies is that I’m guessing you have a huge vocabulary! Thank you for reading my article and for your insightful and understanding comments and questions. To answer your questions, there are a couple of the avoidance strategies that I’m attempting to use strategically. For example, I am beginning to try to use filler words (such as um, ah, like, etc.) strategically rather than as avoidance. We’ll see how that goes! The other strategies I still use regularly – when I fall back into my covert ways. It’s an everyday struggle to not fall back into my covert behaviors so I’m really just working on being more overt and okay with my stuttering right now more than anything. You are right, however, when you change so many words, you have to have a much larger vocabulary! One positive I suppose! I also am a graduate student in speech-language pathology! Your story about your journey with stuttering is truly inspiring! It sounds like you have been through many challenges but you have learned so much from them! Your perspective will be beneficial when working with clients and also when researching new topics within the area of fluency. It seems like it already has and I look forward to the answers you may find in doing that research! I’m taking a fluency class this semester and we have talked about the perspective of PWS and even those who become SLPs. Throughout our discussions I have thought that one of the greatest advantages of being a SLP and a PWS is that they have a true understanding of how much hard work and determination is necessary in overcoming stuttering. You acknowledge that in your paper and I admire your honesty! I would love to know your thoughts on the topic of SLPs being PWS themselves. What do you think are the biggest advantages of being a PWS as you work toward becoming a SLP? Thank you for sharing your story! I am glad to hear that you didn’t give up on your dreams of being an SLP and working with people who stutter! I am a graduate student studying speech pathology and I am currently in a course on stuttering. Do you have certain strategies you use when you notice your self being more covert and overt? If so what are the strategies? Bravo! for pursuing your passion!! Tiffani, Thank you SO very much for sharing your story. As a second year graduate student studying to be a speech-language pathologist I simply CANNOT imagine how you must have felt when a person/ people in the communication sciences and disorders program told you that you should give up on the major! That, to me, goes COMPLETELY against what SLPs, especially those working with students who want to become one stand for! I could not believe it when I read it. It was extremely refreshing to see that although you have gone through what seems to be many experiences where people are less than supportive, that you have made a way for yourself. We just learned about covert stuttering in my advanced fluency disorders class. I was wondering if you could share in more detail what some common covert stuttering techniques you used when you were using them on a day to day basis? I know every one is different and I am interested in knowing which covert techniques you used most. Also, what are some techniques that you used to shy away from being so convert or with therapy in stuttering? How is your support system now? I’m also a graduate student and am currently studying fluency. I appreciate you taking the time to write your story, I feel reading it will make me a better clinician in the future, with better ability to understand many of the covert features of stuttering. I am a second year graduate student in speech language pathology. We have been studying voice and fluency this semester. However, last summer I had the opportunity to be a student clinician at an inter-professional stuttering workshop. Before this I had no idea the different aspects of stuttering namely overt and covert. During the workshop counseling students were involved in the therapy to aid in the covert aspects of stuttering. Do you think that we as SLPs should be more willing to use counseling strategies or involve counselors in therapy for those that stutter during therapy sessions to aid in the covert aspects of stuttering? And did your SLPs address those covert aspects during the therapy sessions? Thank you for sharing your moving story in this wonderful essay. I know that you mentioned that you are slowly becoming more comfortable with your stuttering, and I was wondering if your parents still maintain the same attitude about it? Now that you’ve had more training and experiences in the treatment of fluency disorders, are they less negative, more supportive, and more willing to talk about it? Thanks again for sharing your story. As a graduate student in speech-language pathology, personal experiences always help me to understand the effects of a disorder to a much stronger degree. Thank you for sharing your personal story and experiences. While reading, I found myself relating to your experiences through what I’ve felt as a person with a mental health disorder that is hugely stigmatized in society. I also have ways that I cover up my moods by being overly outgoing and gregarious. If I don’t have it in me to do that then I don’t like to leave my house or I avoid people when I’m forced to go out. The first time I talked to my mom about it she said I didn’t need medication and I just needed to be happy on my own. I have to frequently mention that I have bi-polar disorder and she never acknowledges it. My best friend refused to believe that I could possibly be depressed because she primarily saw me when I was in a more elated mood. That was many years ago and she now knows and understands the difficulty that this adds to my life. I, too, have found that being open and talking about it typically results in understanding and support. My friends have been more patient and kind than I think I sometimes deserve. I also think acceptance is key to managing. There are many lifestyle and dietary factors that I have to keep in mind and, of course, remembering to take my medication. I now know that I will never not be bi-polar and I have come to love myself because, not in spite of, this part of me. I have no idea what it’s like to stutter or have any type of communication disorder. I can only imagine the struggles you have endured by trying to relate them to my own. You are obviously a very strong and determined person and I admire your perseverance. I wish you the best in your studies. I can tell you are going to be an amazing SLP. This was a very thoughtful and courageous story of your life and how you coped with stuttering. I am completely familiar with many of your tactics to become fluent and now most people don’t know that I am a stutterer, however, some of the coping mechanisms are still very uncomfortable. When I was in my 20s and early 30s I continued to use some of the covert strategies using synonyms until I was able to learn to say these words without any disfluency. I also started reading certain texts out loud to myself (mostly religious based) which helped me, it seems, reorient my emotional reaction to the experience. This is not a performance but has actually helped me tremendously with my behavioral reactions. Now, however, I still get the tightness in my chest and breathlessness when speaking in large groups. I started a graduate program in international education and find some of the same panic feelings are returning that I experienced in undergrad and high school. It makes me sad to know that as far as I have come I still have these obstacles and find it very difficult to surmount them. Anyway, thanks again for sharing your story of courage and I wish you all the best in your future endeavors! I am also in a graduate program to be a Speech Language Pathologist. I am deeply saddened that you faced such barriers to your interests in pursuing a career in this field. I am also touched by your strength and self awareness. You are sound like an amazing person! You mentioned that you were afraid of your parents finding out that you stuttered. Do you think that your fear was due to the past misconceptions about parents causing stuttering? Thank you for sharing your story. You are making a wonderful contribution to the field of communication disorders! Thank you so much for sharing your story! It really helped me to understand your perspective and experiences with stuttering. It is such an inspiration to see how much you’ve overcome and persevered so successfully. I am also a graduate student in speech-language pathology, and your story gave me even more motivation and reinforcement as to why I chose this career. It is great that you can use your own experiences to become a relatable and supportive speech-language pathologist! What do you feel are the best kinds of support that a speech-language pathologist can provide in stuttering therapy? I would like to thank you for sharing such an inspiring story! I understand that it may not have been easy along your journey and I appreciate how open you are about sharing your story now. I am also pursuing my master’s degree in speech language pathology and with little experience working with individuals who stutter, I really appreciate your openness and courage to share your story. I was shocked that your professors were so harsh and not accepting of your stutter, let alone not encouraging you to pursue a degree in this field. Have you had any conversations with them about this since then? Also, why do you think your parents were not as accepting as you would have liked? One more question, you mentioned that you have a twin brother… have you ever discussed this with him, and does he stutter? Thanks again so much for sharing!